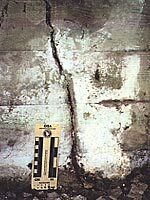 We offer geology evaluation and consultation services to future homebuyers who may have concerns about past and potential geologic hazards before they invest in properties. 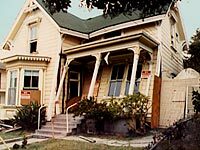 Many properties in California are subject, either directly or indirectly, to a variety of geologic hazards because of the earthquake activity, landsliding, or flooding. Some of these potential geology hazards might include the following. Abundant foundation cracking that may be indicative of instability of the substrata. Properties that may be prone to storm-related damage from flooding along nearby creeks. Poor lot drainage that allows runoff to flow toward foundations and eventually into the crawl space under homes. Sloping lots that have been graded and made level by placing artificial fill, and old drainages have been backfilled and may be subject to future settlement and downslope creep. The potential for mud and rock debris flows, and landslides failing from adjacent backyard slopes that could impact the property. Violent shaking, ground rupture, and liquefaction from earthquakes on nearby active faults. A typical geologic evaluation might consist of a site reconnaissance with the client to observe the grounds and house foundation, a review of available building permit records for original and subsequent construction at the site, a review of historic aerial photographs dating back approximately 60 years, and a verbal consultation about findings and opinions. We provide clients with copies of all materials discovered during our research. These documents may include published geologic, fault, and landslide maps of the site, available building permit records and building/grading plans, and selected historic aerial photographs of the property.